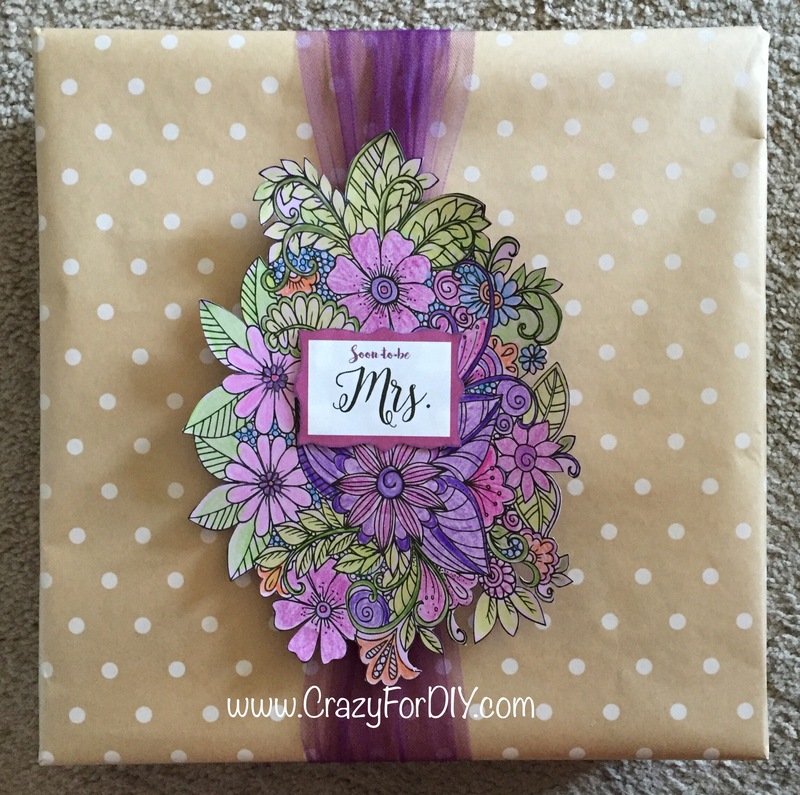 Gift Wrap Topper – Crazy for D.I.Y. 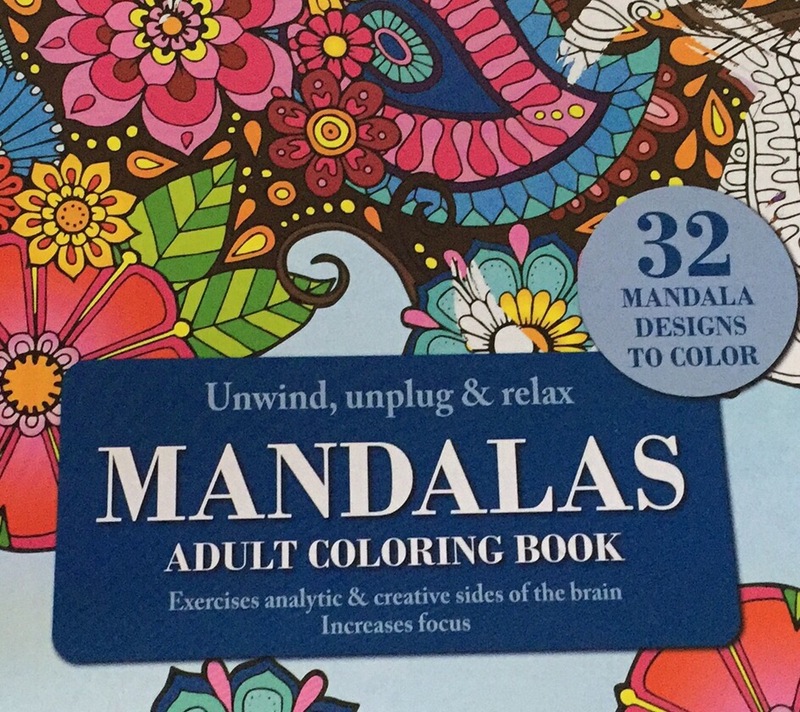 Make some good use out of those adult coloring pages! Create a unique gift wrapping topper. With this topper, I copied the coloring page that I wanted onto a lilac colored card stock. This gave me leeway to miss some spots and get an overall feel of purple (the color theme of the wedding) as well as some thickness to be sturdy and not rip. Make sure to use a solid or plain wrapping paper so the colored topper stands out. Use a simple ribbon or gathered tulle once around the paper. Adhere the topper with double stick foam tape (I used 2 layers) to give it depth. Super fun to color with markers, crayons and colored pencils. This coloring book is from the Dollar Tree. Posted in Crafts, Gift wrappingTagged coloring, diy, easy, Gift wrappingBookmark the permalink.